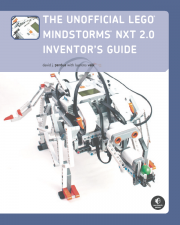 As of December 2010, the second edition of the Inventor’s Guide is available: The Unofficial LEGO MINDSTORMS NXT 2.0 Inventor’s Guide. The companion website for the book been updated for the new book and is now its own blog. For that reason, this will be the last post on this blog, but I plan to indefinitely keep this site here. Is the NXT Inventor’s Guide Compatible with the NXT 2.0 Set? Since the NXT 2.0 set was released this year, many people have been asking whether many of the existing NXT books on the market are compatible with the 2.0 kit. Generally, the answer is no, and my book is no exception. The Unofficial LEGO MINDSTORMS NXT Inventor’s Guide was written for the first version of the NXT set (#8527), and its projects are only compatible with the first version (what I call the NXT 1.0 set). In other words, because of piece differences between the NXT 1.0 and 2.0 sets, the projects in my book can only be built with an NXT 1.0 set. However, much of the other information is still helpful. Much of the building, mechanical, and programming information is still applicable. So what if you’re the proud owner of an NXT 2.0 set and want to use the NXT Inventor’s Guide with it? I’m currently working with my book’s publisher, No Starch Press, to get out a second edition specifically for the NXT 2.0 set. I do not yet have a firm release date for the book. In the meantime, you will need to either purchase an NXT 1.0 set or hunt down the necessary pieces to build the robots if you own only an NXT 2.0 set. The second option can be difficult although this resource might help. Book Signing in Austin, Texas Next Week! As mentioned in a previous posting, I’m having a book signing at a Barnes & Noble in Austin, Texas on Saturday April 19th. The signing starts at 2PM. Although previously I mentioned bringing two robots from The Inventor’s Guide with me, I’m now planning on bringing one robot from the book—Tag-Bot—and one from the NXT set: Spike the walking scorpion. The robots will be sitting on a table for the duration of the event, and Spike plays that role quite well. Tag-Bot, on the other hand, is supposed to run around like crazy. 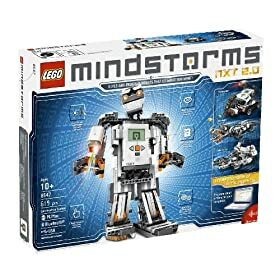 In any case, the two bots should give people who are unfamiliar with MINDSTORMS an idea of what they can create with the NXT set. 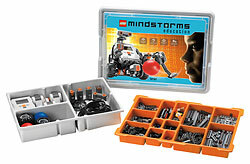 The ULMN Inventor’s Guide uses the retail version of the NXT set, known officially as LEGO MINDSTORMS NXT. However, there is also an educational version of the NXT set, known officially as the LEGO MINDSTORMS Education NXT Base Set (see below). Unfortunately, while the robots in my book can be built from the pieces in one retail NXT set, the educational NXT Base Set does not contain all the pieces necessary to build those same robots. If you own the NXT Base Set and would still like to build the robots in The Inventor’s Guide, there is a solution. The Education Resource Set (shown below) is a $69.00 “expansion pack” of sorts for the NXT Base Set. 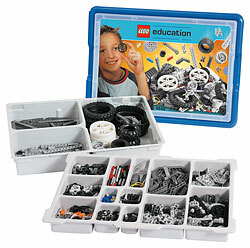 This resource set includes nearly 700 pieces. By combining the pieces from the NXT Base Set and the Education Resource Set, you can successfully build all the robots in The Inventor’s Guide. To ensure this, I have checked the bill of materials for the robots in my book—Zippy-Bot through Golf-Bot—and compared it with the combined contents of the Resource Set and NXT Base Set. I must mention that while you will have the correct type and sufficient quantity of pieces using the NXT Base Set and Resource Set, you will not have all the same colors of pieces as found in the retail version of the NXT set. But that definitely won’t stop the robots from working! On February 2nd from 10AM to noon, I’ll be demonstrating robots from my book The Unofficial LEGO MINDSTORMS NXT Inventor’s Guide at the Barnes & Noble in Round Rock. I recently did a book signing there, and they invited me back to participate in an event supporting the bestselling The Dangerous Book for Boys. 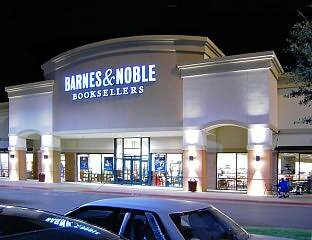 This is a nationwide event for Barnes & Noble, meaning that BN locations around the nation are each hosting their own event with an activity that would interest readers of The Dangerous Book for Boys. I plan on bringing my “dangerous” Guard-Bot to the event as well as another robot. The store will have copies of The Dangerous Book for Boys and my book available, and I’ll be available to sign copies after my demonstration. The address for the store is below. I hope to see you there! 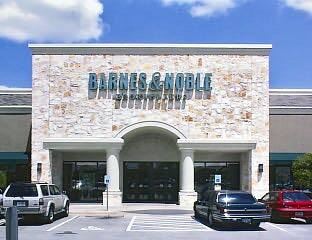 On April 19th at 2PM, I’m going to be doing another book signing for The Unofficial LEGO MINDSTORMS NXT Inventor’s Guide at a Barnes & Noble in Austin, TX. 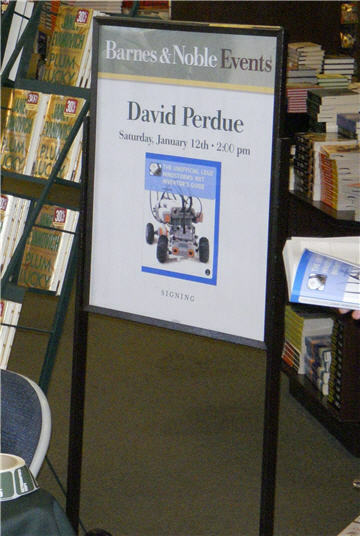 I plan on bringing two robots from the book with me, of course, and I hope to meet some LEGO fans in south Austin. A reader (Nathan G.) of The ULMN Inventor’s Guide recently wrote me about an NXT-G program he was working on for Tag-Bot. The program’s purpose was to solve Tag-Bot’s inability to determine its steering position. In the book, I simply instruct readers to always center the robot’s steering before starting a program—the robot then assumes that its steering has been centered. The reader used an unofficial NXT-G block, the Motor Power Meter block, to fix the problem. This block is a sensor which allows you to monitor the actual power sent to the NXT servo motor. In a single motor mode (Motor block) with Motor Power enabled the firmware automatically increases the power to keep constant speed. Monitoring the Actual Power allows detecting stall conditions as well as slip conditions (e.g. when your robot hits the wall, its motors might still be able to slip in place but the robot does not move). I modified Nathan’s program some, but the basic idea remains the same. Using the Power Meter option within the standard Wait block to determine a stall condition, Tag-Bot first steers to the rightmost position and then resets the built-in rotation sensor of the steering motor (Motor A). Next, it steers to the leftmost position and then divides the current value of Motor A’s rotation sensor by 2. The quotient is the number of degrees that the steering motor should turn to center the steering. Voilà! Automatic steering. You can start the program with Tag-Bot’s steering in any position, and it should always be able to center it. If you’d like to download the mini-program shown below, click here. 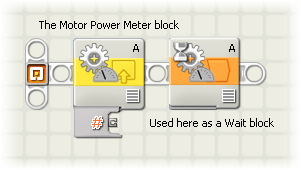 Remember that you have to download the Motor Power Meter block if you want to use this program. The basic Zippy-Bot model from Chapter 11 of The ULMN Inventor’s Guide allows you to create a number of unique robots by adding on different subassemblies. I included two robots in the book—Bumper-Bot and Claw-Bot—based on Zippy-Bot, but I had wanted to include a third: a simple line-follower. Well, I’ve finally created that line-follower and named it Line-Bot. The robot uses one additional subassembly, the Light Sensor subassembly, and an extremely simple NXT-G program. You can build Line-Bot by downloading the LEGO Digital Designer (LDD) file of the Light Sensor subassembly. (If you haven’t downloaded the LDD software yet, you can do so at http://ldd.lego.com/.) Once you’ve opened my file, clicking the Building Guide Mode button or hitting F7 on your keyboard takes you to the building instruction for the model. Follow the instructions to build the subassembly, and then attach it to Zippy-Bot by pushing its bushed friction pegs into the angled beams on the front as shown in the image below. Use a small or medium size cable to connect the light sensor to input port 1 on the NXT. 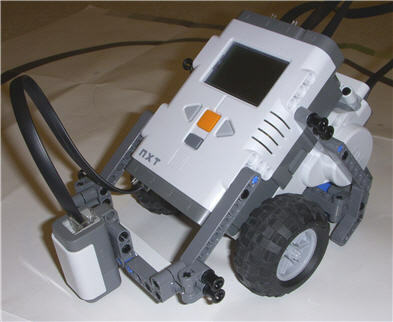 After construction, download the NXT-G program Line-Bot.rbt, and after you’ve loaded the program into Line-Bot, place the robot on the outside of the black line on the NXT test pad. Run the program, and that’s it! Line-Bot steers left when it detects the black line, steers right when it detects the white surface, and goes straight when it reads an “in between” value. Note that, depending on the lighting in your room, you may need to modify the trigger values used by the two Switch blocks in the program. In addition, depending on the NXT’s current battery level, you may need to adjust Line-Bot’s speed (if the robot goes too fast, it’ll “get lost”). Feel free to experiment with the program and the robot’s design, and let me know what you can come up with! The book signing last Saturday at the Barnes & Noble in Round Rock was a success and incredibly fun. It was great meeting everyone, answering questions, and signing copies of The Unofficial LEGO MINDSTORMS NXT Inventor’s Guide. A lot of parents showed up with their children who are MINDSTORMS maniacs, but some adult fans of LEGO came by as well as someone from National Instruments (the company that developed NXT-G). Not surprisingly, I heard more than one person say, “We got the NXT set for Christmas!” I’m sure a lot of people got the NXT set for Christmas. And, yes, I managed to keep Guard-Bot and Tag-Bot on the table. I programmed Guard-Bot to walk in a square and Tag-Bot to sit still and turn its head every seven seconds. Tag-Bot, of course, appeared as if it was examining its surroundings, and I got some funny responses from people walking by. I’m planning on having another signing at a location in Austin–more on that later. I am the author of "The Unofficial LEGO MINDSTORMS NXT Inventor's Guide" (No Starch Press, 2007) and "Competitive MINDSTORMS" (Apress, 2004). I enjoy reading, writing, MINDSTORMS robotics, and spending time with my family. Currently, I am pursuing a degree in Management Information Systems.